Book your dream vacation with JustGottaGo Resort Rentals in Dallas, Texas today. Resort condo rentals in the most sought after locations. Reserve an exciting vacation at the best resorts. Enjoy all the finest resort vacation rentals at amazing last-minute deals. Contact us if you don't see what you are looking for. Book a fabulous deal for spacious 1, 2, and 3 bedroom resort condos at top ski resort areas. All condos come with complete kitchens and many with whirlpool tubs and fireplaces. 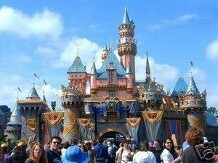 Book a fantastic resort rental right near your favorite family theme park. Resorts with tons of amenities to keep you and the kids entertained without having to go to the theme parks EVERY day of your week. Swimming pools, tennis courts, miniature golf, playgrounds, games rooms, clubhouses, planned activities, kids clubs, etc. Spacious 1, 2 and 3 bedroom condos with complete kitchens to save you hundreds of dollars just having breakfast, lunch, snacks, and your favorite beverages in the comforts of your own vacation home. All at LESS than the price of your average cramped hotel room ! • San Diego and Southern California: Visit Sea World, Balboa Park, Lego-land and much more. 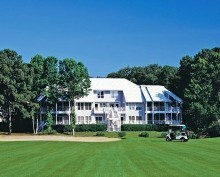 Hit the links at some of he country's most exciting golf courses. Spacious 2 or 3 bedroom condos and villas sleeping from 6 to 10 people. Plenty of room for you and your entire family or that crazy foursome of your favorite golf buddies. Located on or near the lush fairways of some great resort courses. After you break par on the course, come back to your luxuriously appointed vacation home, sit in your jetted whirlpool tub, then enjoy barbecue and drinks on your own private deck or patio. 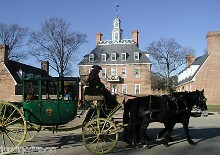 Colonial Williamsburg is the world's largest living history museum. Williamsburg is the restored 18th-century capital city of Britain's largest, wealthiest, and most populous outpost of empire in the New World. We interpret the origins of the idea of America, conceived decades before the American Revolution. The Colonial Williamsburg story, "Becoming Americans," tells how diverse peoples, having different and sometimes conflicting ambitions, evolved into a society that valued liberty and equality. Americans cherish these values as a birthright, even when their promise remains unfulfilled. In Williamsburg's 301-acre Historical Area you'll find hundreds of restored, reconstructed, and historically furnished buildings. Costumed interpreters tell the stories of the men and women of the 18th-century city and the challenges they faced. Call us today in The Colony, Texas, at 1-800-GOTTAGO or send us an email to book your vacation.